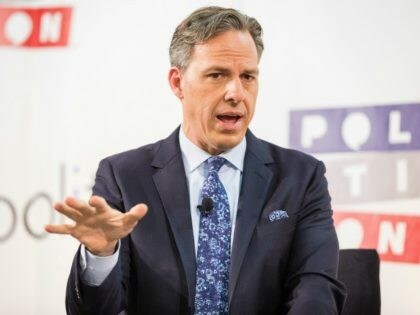 In the immediate aftermath of Tuesday’s terror attack, the worst in New York City since September 11, 2001, for some bizarre reason, Tapper felt the self-righteous need to say this: “The Arabic chant, Allahu Akbar, God is great, sometimes said under the most beautiful of circumstances, and too often we hear it being said in moments like this.” Let us begin with the misleading part. “Allahu Akbar” does not mean “God is great.” It means, “Allah is greater.” The left-wing CNN also misinterpreted this in a chyron. And the difference is all the difference. As Breitbart News has reported, “Allahu Akbar” is the “aggressive declaration that Allah and Islam are dominant over every other form of government, religion, law or ethic, which is why Islamic jihadists in the midst of killing infidels so often shout it.” In other words, “Allahu Akbar” is not some benign chant declaring “God is great.” Rather, it is a belligerent cry of religious and cultural supremacism.